Johannesburg - Lions coach Swys de Bruin has signed a contract extension with the franchise. Lions CEO Rudolf Straeuli confirmed on Tuesday that De Bruin signed for another two years. "Swys will remain at the Lions and has extended his contract until 2021 with the franchise. 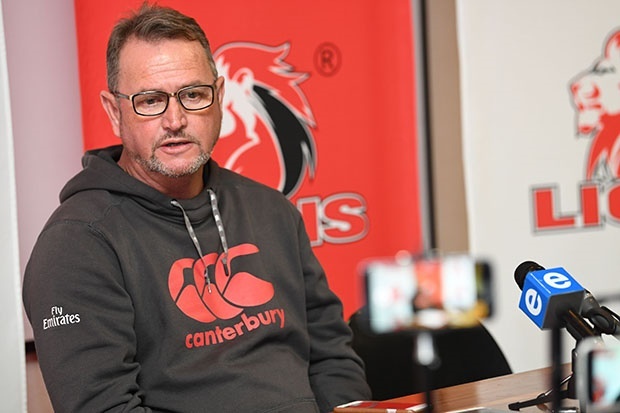 Lions Rugby remains a system driven franchise focused on stability within the structures of our players and coaches," Straeuli said via a press statement. Last month, De Bruin also signed a contract with SA Rugby which will see him travel as an assistant coach with the Springboks to the Rugby World Cup in Japan later this year. De Bruin was also part of the Springbok management team during the 2018 season. The 59-year-old became Lions head coach last year, taking over from Johan Ackermann who left to coach Gloucester in England. De Bruin led the Lions to a runners-up finish in the 2018 Super Rugby competition. The Lions are in action this Friday when they tackle the Sharks at Ellis Park (19:10 kick-off).